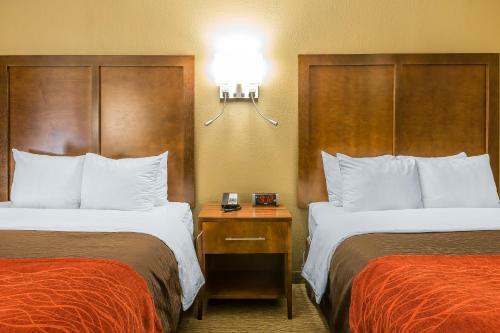 Comfort Inn & Suites Dalton showers guests with freebies like breakfast and high-speed internet access. 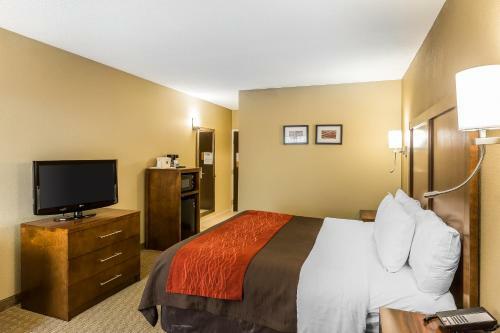 All 76 rooms in the four-story Comfort Inn have coffeemakers cable TV and free wired high-speed internet access. The hotel's free breakfast gets under away at 5:30 a.m. Unwind in the indoor pool then stop by the lobby in the evenings for freshly baked cookies. The hotel has a conference room and can provide copy and fax services for additional fees. There's a laundry facility for guest use and pets are welcome for an additional fee. Parking is free. Just off I-75 the Comfort Inn is less than one mile from the Northwest Georgia Trade and Convention Center and a little more than a half-mile from the Market Street Shops of Dalton. Guests are three-and-a-half miles from Dalton's Crown Mill Historic District. It's 28 miles to Chattanooga Metropolitan Airport in Tennessee and 96 miles to Hartsfield-Jackson Atlanta International Airport. 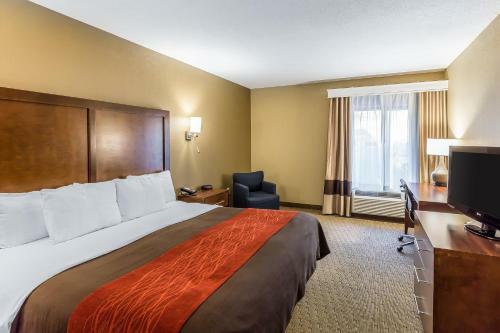 Add Comfort Inn & Suites Dalton to your free online travel itinerary.